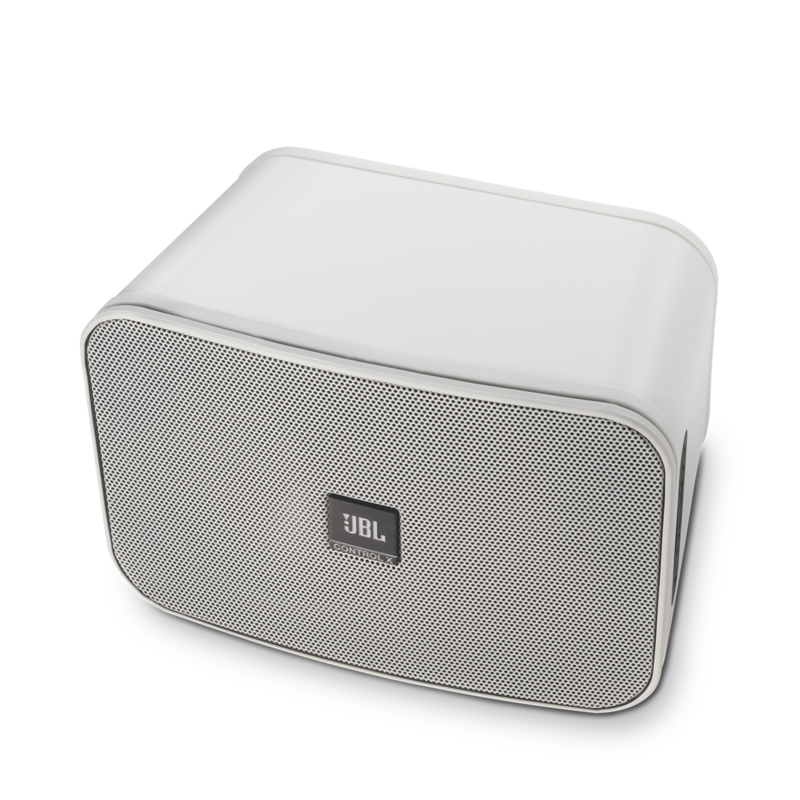 Voor vele jaren heeft de iconische JBL Control-luidspreker de combinatie van een compacte vorm en krachtige functie geperfectioneerd. De nieuwe Control X gebruikt dezelfde focus op kwaliteit van ontwerp en geluid in een robuuste, weerbestendige stereoluidspreker die perfect is voor gebruik binnenshuis en buitenshuis. Onze High Definition Imaging (HDI) waveguide-technologie biedt verbazingwekkende geluidsbeeldvorming, natuurlijke balans en opmerkelijk detail op iedere locatie. Een 5.25” (133mm) woofer en 1” (25mm) CMMD® Lite tweeter leveren krachtige lage tonen en zuivere hoge tonen op elke locatie, zowel binnenshuis als buitenshuis. 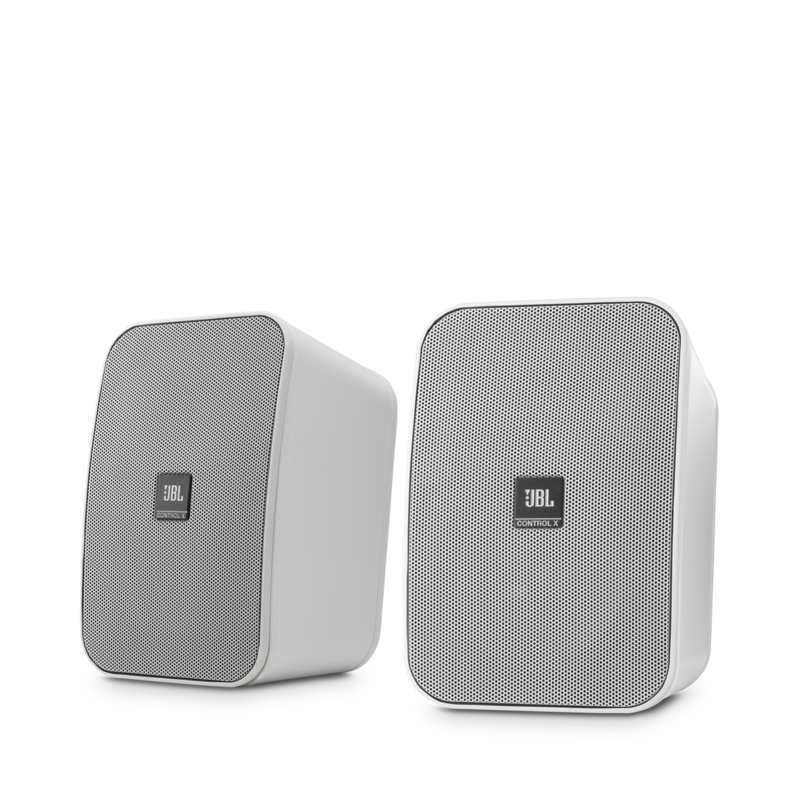 JBL Control X heeft als beoordeling 4.4 van de 5 door 12. Rated 5 van de 5 door ANEPTA63 uit Excellent sound!!! A month ago I bought this pair of speakers without much expectations, however, the sound quality is unbeat. At first I connected them to an old Pioneer amplifier that I had for several years ago, but when I heard the quality of these speakers I decided to buy a better quality amplifier. After seeing several options, I decided on the Marantz PM5005 and the sound improved to a quality I had not heard before. These speakers are worth every penny that is paid for them. Congratulations JBL for giving us these incredible speakers at an unbeatable price. Rated 5 van de 5 door Nathugh23 uit Awesome just awesome! These speakers rock! Bought them over many higher priced speakers and couldn't be happier! Great sound! The bass, the highs and lows, the pure sound is tremendous. Connected them with a Sonos amp and I'm blown away how great they sound. I have lots of friends with outdoor speakers and these sound so much better than ALL of theirs. I would recommend these to everyone! JBL never fails! Rated 5 van de 5 door Pnola uit Great speakers I have these speakers outside on a covered patio. They sound great for small speakers. 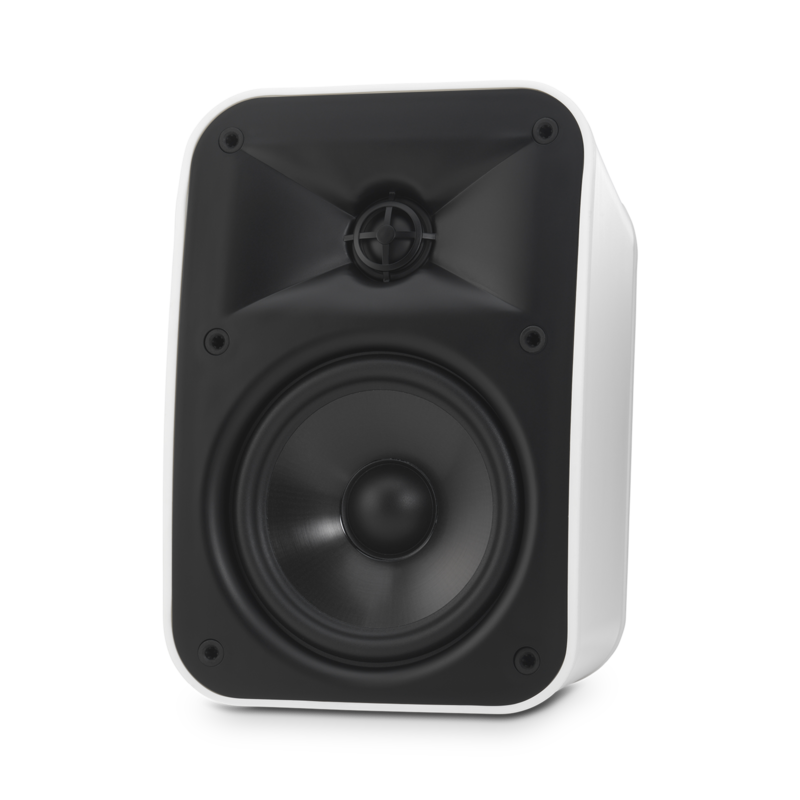 Rated 5 van de 5 door richgit uit Great sound from small speakers Impressed at the sound quality and output of these... paired with a subwoofer they provide a rich full spectrum sound. Lovely discreet design as well, I've mounted them under an outdoor BBQ area. Rated 4 van de 5 door Helmut H uit Volltreffer Aufgrund der kompakten Maße erfüllen diese optisch gelungenen Regallautsprecher genau meine Wünsche. Sie sollten kleiner als normale Regallautsprecher sein, weil sie neben dem Fernseher nicht aufdringlich erscheinen durften. Als Satelliten in Verbindung mit einem starken teuflischen Subwoofer werden mangelnde Bassqualitäten ausgezeichnet ausgeglichen. Ich bereue es nicht, dass ich die kleinen 500 gr. Minisatelliten gegen erstklassige 2,6 Kilo schwere Multitalente ausgetauscht habe. I have an existing Bose V100 mounted on the ceiling (facing the floor) for ATMOS system. I will replace them with 2-way speakers and will utilize the same Pinpoint bracket. Is it recommended to mount the Control X on the ceiling facing the floor? We would like to work with you directly. Please submit a case request at https://www.jbl.com/support-contact.html and the Customer Service Team will be more than happy to assist you. Thank you. Hello, are there adapters to mount the Control X on speaker stands, or mic stands? Hi Nick. This is an inquiry regarding your answer. I am currently using Bose V100 (pair) for my ATMOS ceiling speakers. I planned to buy Control X to replace my Bose V100. What is your reason why it is not recommended for ceiling mounting? Is it because of the weight? The construction of the cabinet might fall-off or my ceiling might fall-off? 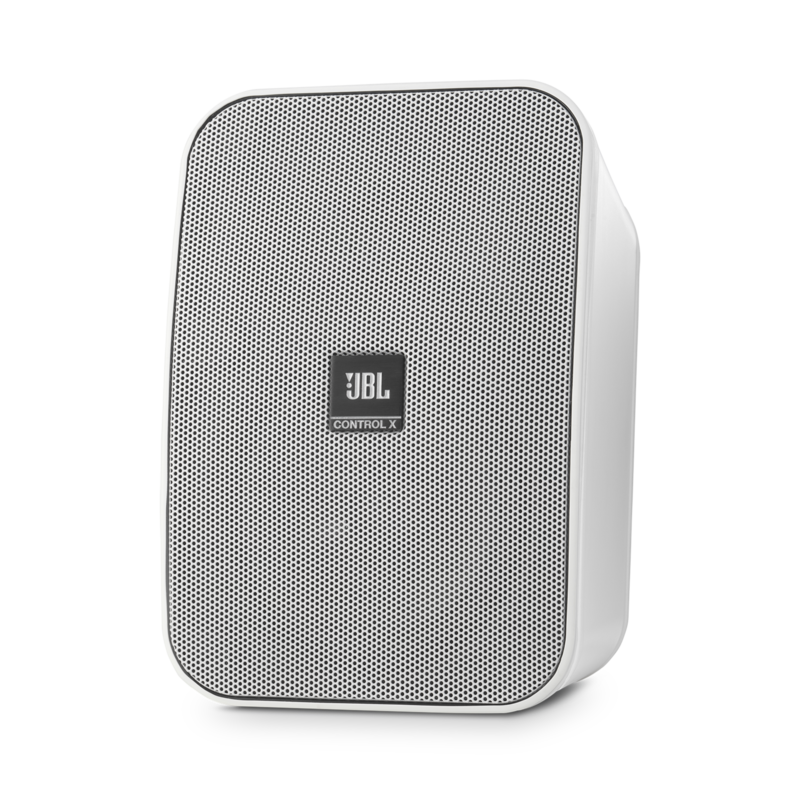 I would personally recommend getting the JBL CONTROL 25 AV, since it would be able to a deeper bass with a frequency response of 70-23,000 Hz (-10dB). Aside from that the cabinet and grille can be painted to match your decor and it has warranty coverage of 5 years for parts and labor. why made in china? where are the u.s. made control x? The parts of these unit are made in U.S and are just assembled in China that is why it was labeled as made in China. Arena 180 dual and the Control X , which one gives you more base ? Hi! 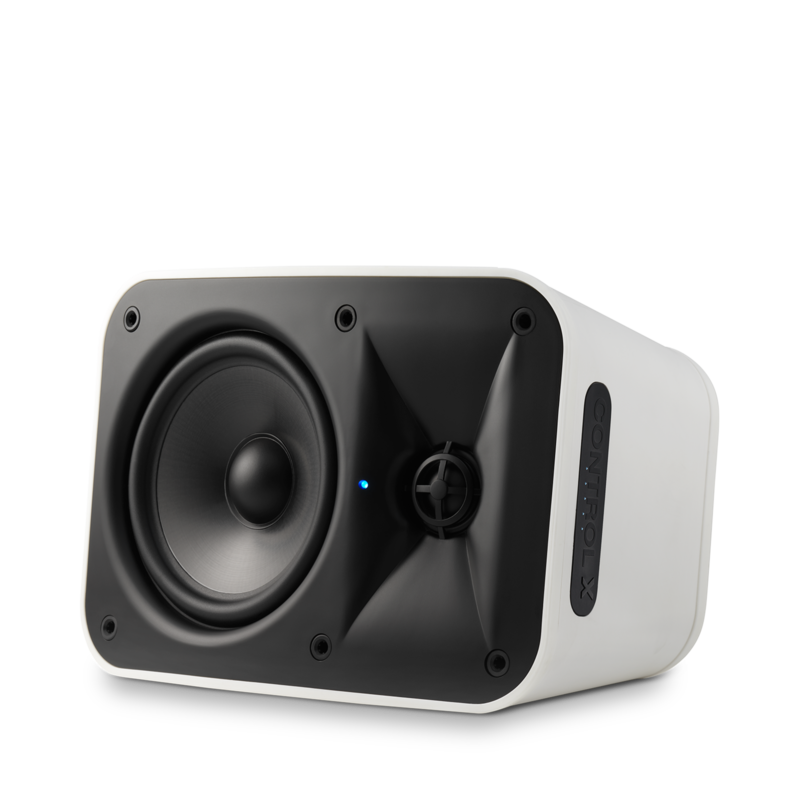 Based on the specifications of the two speakers, the Arena 180 will provide better bass than of the Control X. 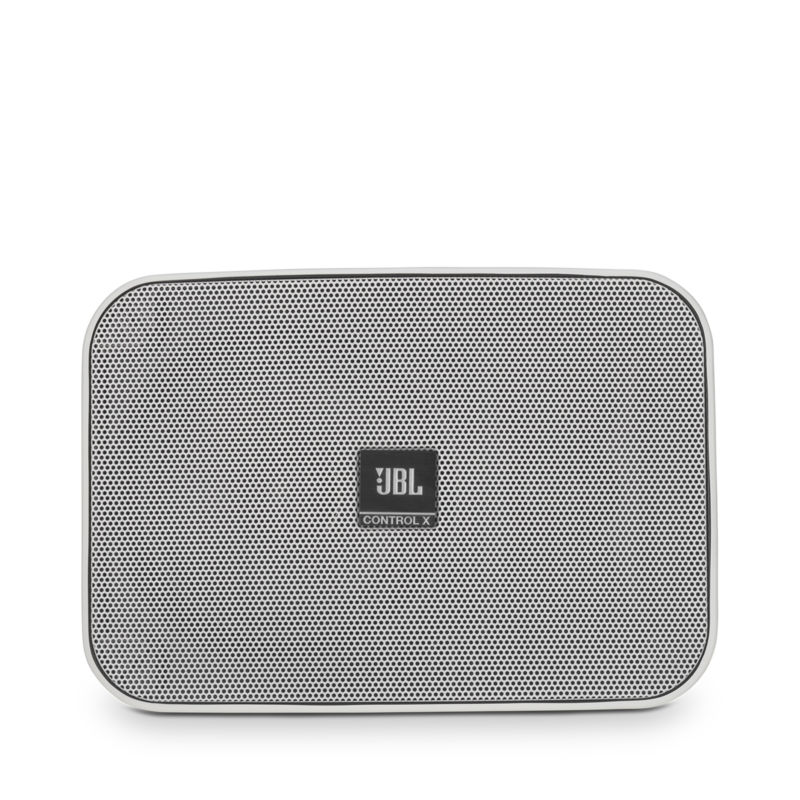 If you would have more questions regarding the two products, please reach us at https://www.jbl.com/support-contact.html. Our team will be more than glad to further assist. 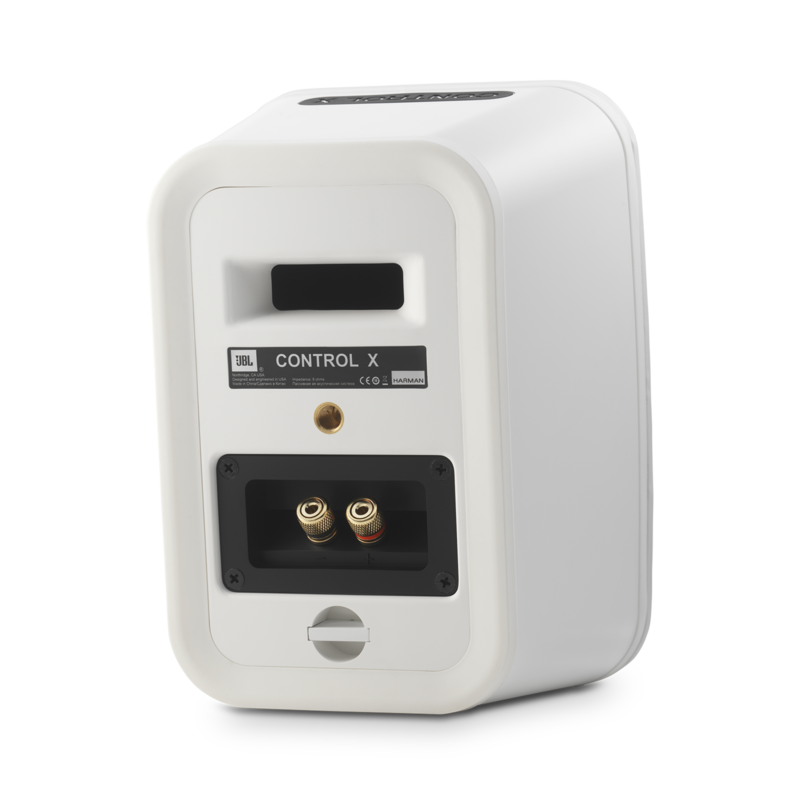 What HK amps are able to connect wirelessly to the Control X? How do you connect the wireless Control X speakers to the amplifier / receiver? There are no HK amps/receivers that work on wireless speakers as of the moment. You can connect them through wired connection from the receiver to the speaker.